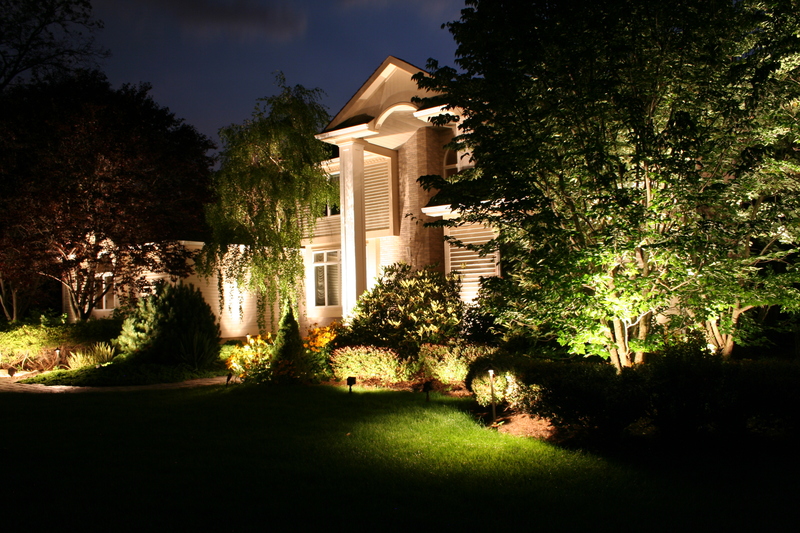 Preferred Properties Landscape lighting techniques have excelled over the seasons as their comprehension and vision not only incorporates four seasons , but eight seasons both day and night. 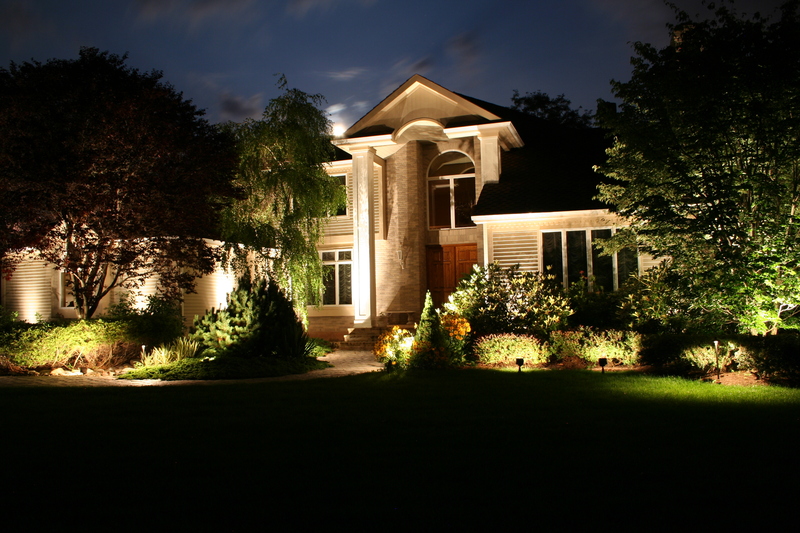 The ability to illuminate the night without glareback or inconsistencies are priorty with a Preferred Lighting design. The challenges with this landscape setting is that the landscape plantings have reached their spacial maturity. What we did is order special sized stems to hold the hi hats. 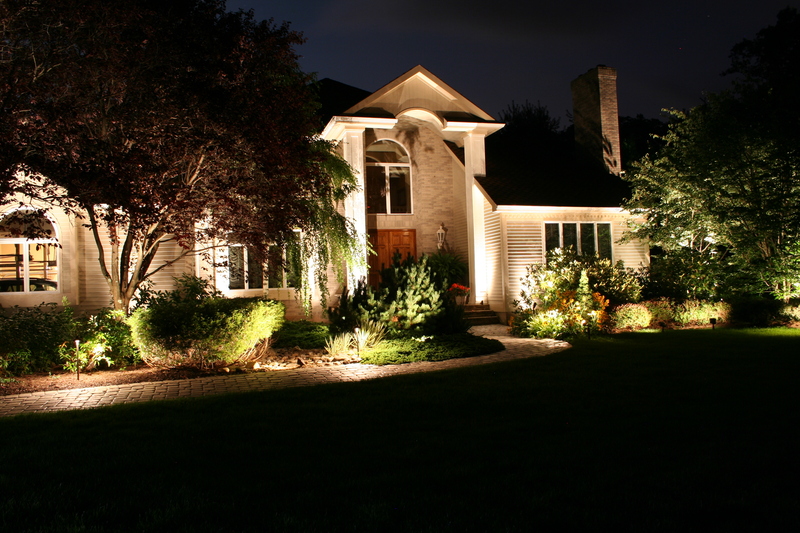 This worked out well and the homeowner was thrilled with the demo like above ground installation. You can see the xtra high risers specially designed for the walkway. Look at the balance and yet interest of contrast from the graceful arching plant materials up against the foundation. This shot is quite the picture showing how hard it was to reach the top peaks without much shadowing. 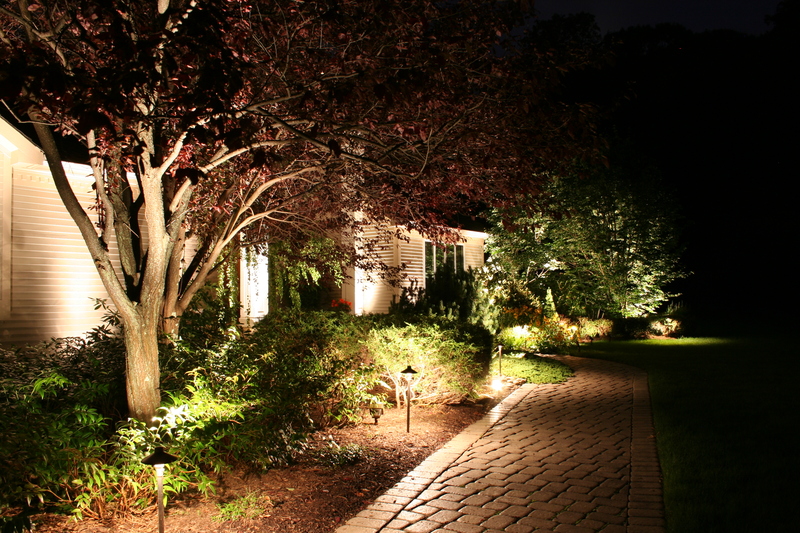 This entry was posted in AOLP, Association of Outdoor Lighting Professionals, Best of Cheshire, CT, Featured Projects, Landscape Design, landscape lighting, landscape lighting design, landscsape lighting, lighting automation, night lighting, outdoor lighting, Outdoor Lighting / Low Voltage Lighting, Preferred Properties Landscaping, Preferred Properties Landscaping and MAsonry, Uncategorized, Unique Lighting and tagged AOLP, CAST lighting, Cheshire Chamber of Commerce, controlscape, Featured Projects, landscape lighting, landscape lighting automation, landscape lighting design, Landscaping, landscsape lighting, lighting automation, lighting transformers, LITE program, low voltage lghting fixtures, night lighting, night lighting automation, outdoor lighting, Outdoor Lighting / Low Voltage Lighting, outdoor lighting automation, Preferred Properties Landscaping and nursery, timers, Unique Lighting. Bookmark the permalink.